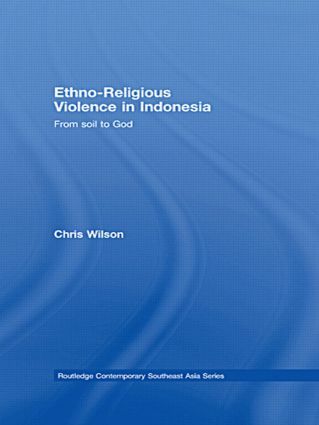 Ethno-religious violence in Indonesia illustrates in detail how and why previously peaceful religious communities can descend into violent conflict. From 1999 until 2000, the conflict in North Maluku, Indonesia, saw the most intense communal violence of Indonesia’s period of democratization. For almost a year, militias waged a brutal religious war which claimed the lives of almost four thousand lives. The conflict culminated in ethnic cleansing along lines of religious identity, with approximately three hundred thousand people fleeing their homes. Based on detailed research, this book provides an in depth picture of all aspects of this devastating and brutal conflict. It also provides numerous examples of how different conflict theories can be applied in the analysis of real situations of tensions and violence, illustrating the mutually reinforcing nature of mass level sentiment and elite agency, and the rational and emotive influences on those involved. This book will be of interest to researchers in Asian Studies, conflict resolution and religious violence.